► Could the United States have killed alleged dirty bomber José Padilla at O'Hare Airport? ► Could Uganda enter, say, Mozambique in pursuit of Joseph Kony? ► Are cross-border drone strikes legal? These were the kind of provocative questions bruited about at Geography of War in Armed Conflict, a fascinating workshop in which yours truly took part last week at the the U.S. Naval War College International Law Department, Newport, Rhode Island. Kudos for assembling a fiery, multinational group of participants with an array of perspectives – think dinner party in a Woody Allen film – are due to organizers, particularly Professor Michael N. Schmitt, a retired Air Force officer, and Instructor Matt Hover, an Army major. Schmitt, formerly Chair of the Public International Law Department at Durham University in England and Dean of the George C. Marshall European Center for Security Studies in Germany, has chaired the College's International Law Department since October. ► Jennifer Daskal (left), Fellow at the Center on National Security and the Law, Georgetown University Law Center. (photo credit) Jen, whom I'd met back in 2008, when the 2 of us observed GTMO military commissions for different NGOs, is the author of an article right on point with this workshop: "The Geography of the Battlefield: A Framework for Detention and Targeting Outside the 'Hot' Conflict Zone," forthcoming in the University of Pennsylvania Law Review. In it, Jen accepts arguendo current U.S. practice with regard to targeting (which IntLawGrrls have discussed in posts available here, here, and here), and proceeds to propose guidelines for regulating that practice. 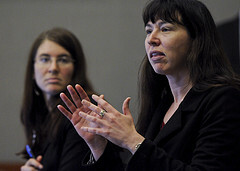 ► Ashley Deeks (right), who is completing a stint as an Academic Fellow at Columbia Law School and soon will take up an appointment as Associate Professor at the University of Virgina School of Law. (photo credit) Ashley's article "'Unwilling or Unable': Toward an Normative Framework for Extra-Territorial Self-Defense," just published in the Virginia Journal of International Law, discusses a theory by which some countries, like the United States, have endeavored to justify entering the territory of a state – a state with which the country is not at war – in pursuit of a person or group with which the country is at war. In an armed conflict "between two or more of the High Contracting Parties," to quote Article 2 common to the Geneva Conventions, such pursuit is permitted. But what about, to quote Article 3 common, "an armed conflict not of an international character"? What if a country is warring against a nonstate actor, on the territory of a not-at-war state? Whether, and by what legal reasoning, that country can get across that nonconsenting state's border were the central questions of the workshop. ► Jus in bello. In contrast with jus ad bellum, the international law that governs whether a resort to war was legal, jus in bello traditionally governs only the conduct of an armed conflict, regardless of its jus ad bellum (il)legality. An out-of-the-box theory appears to be floating about, to the effect that jus in bello alone can get that country across that border. On this, guess my mind remains well inside the box. ► Jus ad bellum. For very strict constructionists, border-crossing without state consent or Security Council approval violates the U.N. Charter. A less strict reading, pointing to Article 2(4)'s reference to "any other manner inconsistent with the Purposes of the United Nations," might admit other exceptions, such as defense of nationals and humanitarian intervention (an older relative of the responsibility to protect concept). Customary international law analysis of these tends to fall short of persuasive, however. Looser reads play on requirements generally considered customary international law corollaries to Article 51; that is, "necessity" and "proportionality" as set forth in an exchange of notes between British and U.S. diplomats after the Caroline incident of 1837. The degree of elasticity one finds in those requirements depends on whether one prefers strict or liberal interpretation, originalist or teleological legal reasoning. ► International and regional jurisdictions. What reasoning will prove persuasive may depend on the forum of persuasion. Arguments of legal justification used to be voiced almost exclusively in political settings like the Security Council or in the so-called court of public opinion. Increasingly, however, international bodies have jurisdiction to examine the threat or use of force, to insist on compliance with a particular treaty regime. In some cases these bodies may hold states responsible or individuals criminally liable. In the context of armed conflict, such a body's "power to say what the law is" – to recite a standard definition of "jurisdiction" – is also a power to say where the law is, to map the geography of war. 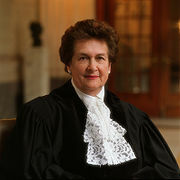 Thus to be considered are decisions like, to name a few: Tadić (ICTY 1995), which interpreted the scope of non-international armed conflict and further severed the armed conflict nexus requirement from crimes against humanity; Genocide (ICJ 1997), which parsed state responsibility for crimes by nonstate groups; and Al-Jedda (ECHR 2011), which applied human rights protections to the conduct of member states' troops on the territory of a nonparty state. ► National law. By no means least, the question of whether a country may enter a nonconsenting state's territory implicates the law of the country itself. Surely this is so in Israel, whose Supreme Court pronounced on targeted killings in Public Committee against Torture in Israel (2006), and in the United States, whose Supreme Court held in Hamdan v. Rumsfeld (2006) that, at a minimum, the post-9/11 context is a conflict of a non-international character, in which the United States must adhere to its Common Article 3 treaty obligations. The interrelation of national jurisprudence with international and regional human rights jurisprudence, with international criminal law, with international humanitarian law/law of armed conflict/jus in bello, and with the Charter- and custom-based jus ad bellum, remains unsettled. Accordingly, it provided an excellent foundation for last week's workshop at the U.S. 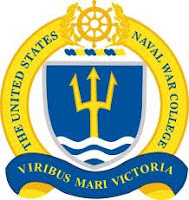 Naval War College.